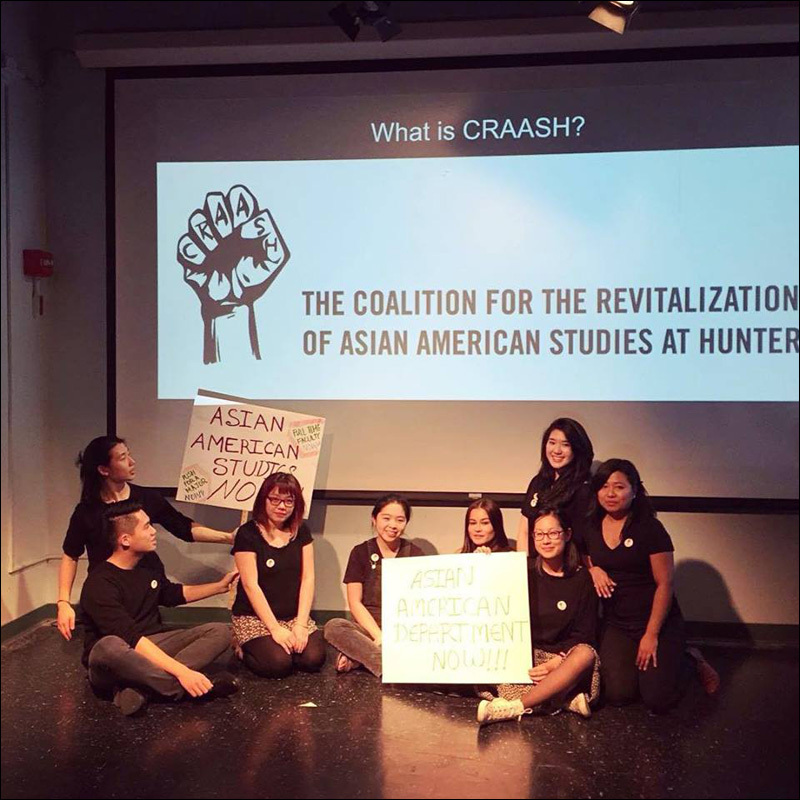 In New York City, we, the Coalition for the Revitalization of Asian American Studies at Hunter (CRAASH), have been organizing for Asian American Studies on campus for a decade now. CRAASH first formed in 2006, when the Hunter College administration attempted to freeze and eliminate a then-directorless Asian American Studies Program (AASP), and fought to bring the Program back the following year. 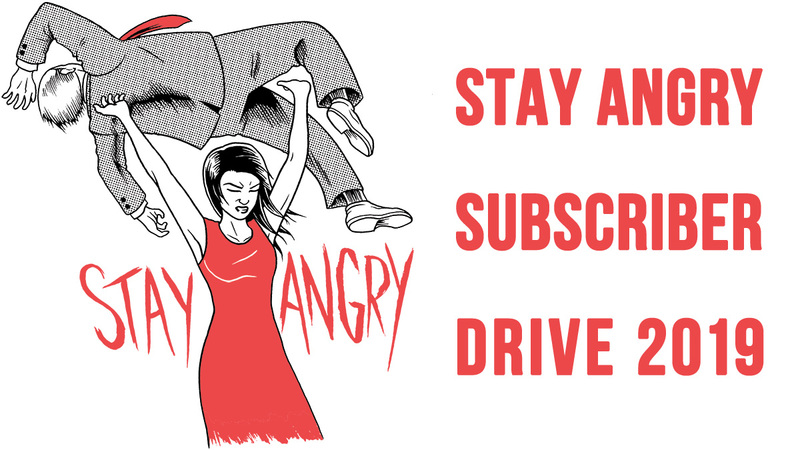 In fact, we were featured on Angry Asian Man in 2008 to promote our first conference, "Strengthening Education: Empowering Asian American Studies," to save our beloved AASP. 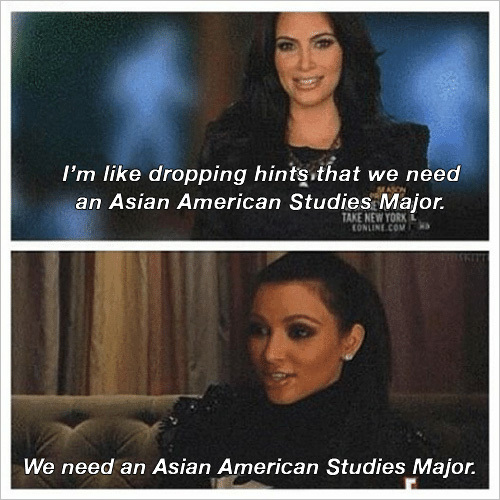 Now in 2016, we're back, fiercer than ever, demanding for an AAS Major/Department to prevent history from repeating itself (check out our #WhyINeedAAS Campaign for testimonies on why AAS is so critical for all students). 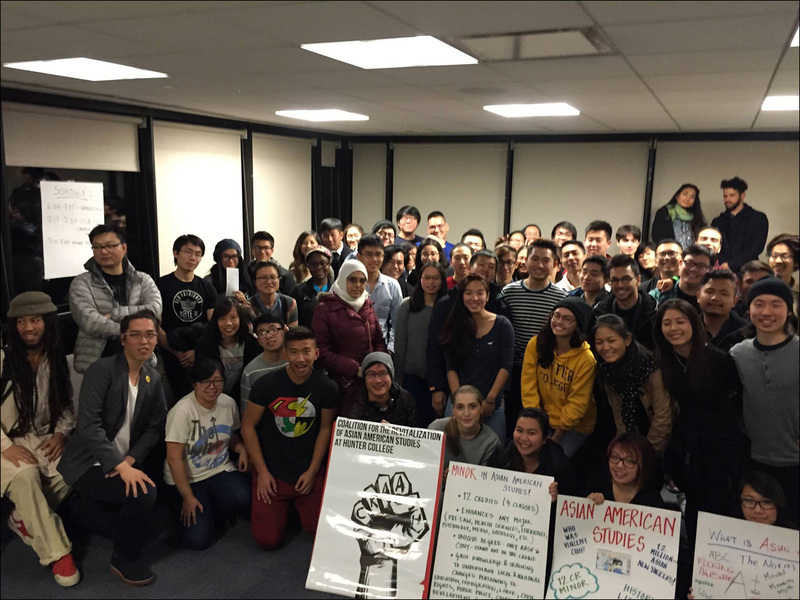 Similar to most of the other origin stories of Asian American Studies Programs that were born from student organizing, the AASP at Hunter College was founded in 1993, when students and faculty both fought and organized to establish the Program. 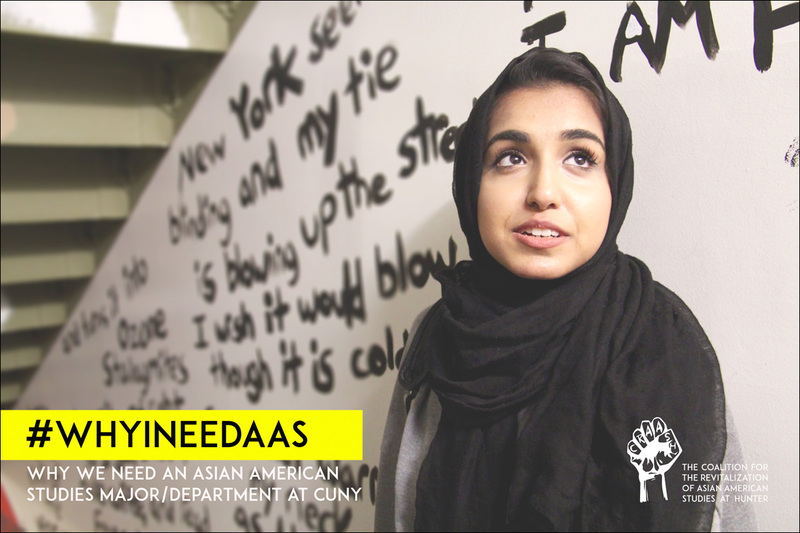 Currently, the AASP at Hunter offers the most AAS courses in NYC, ranging from Asian American Communities and Mental Health to Muslim Diasporas to Filipino American Literature, and has about 40-50 minors every semester. However, after a decade of successful programming, largely as a result of our current director Jennifer Hayashida's efforts and the contributions of the many adjuncts from the Program, the AASP still remains as only a minor that is understaffed and lacking the resources to be a truly sustainable Program: our director is the only non tenure-track, full-time faculty in the Program, with no full-time staff or adequate space. 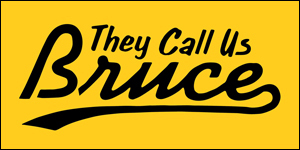 In addition, our director's contract is set to expire next year, which means that the Program is, once again, at-risk of reverting back to the same near-defunct state it was in ten years ago without a director. The bottom line is that we have been presented with an incredible opportunity to set a precedent for Asian American Studies on the East Coast, and the time has come for Hunter College to live up to its mission for diversity and inclusivity. That is why we need everyone's support for our #WhyINeedAAS Campaign at Hunter. 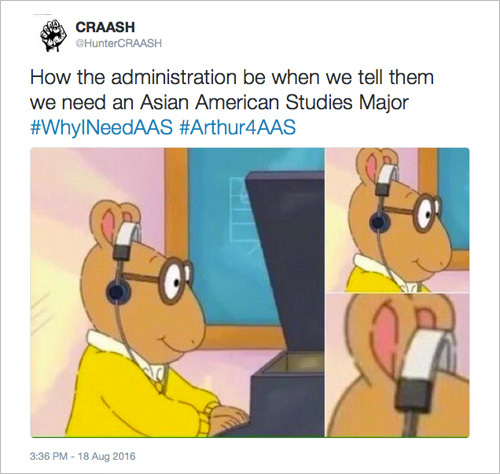 From coast to coast, we must make sure that the Hunter administration and administrators across all universities see that Asian American Studies and APIA student voices cannot be ignored. Here's how you can help with our #Fight4AAS! • TWEET @HunterPresident and @jbmilliken: "I support @huntercraash's #WhyINeedAAS Campaign. We are here to #Fight4AAS!"